K-9 Academy at Shelby Farms Park is a program series created just for your favorite furry family member! Whether you are interested in puppy socialization, advanced obedience training, or anything in-between, K-9 Academy is the perfect fit for your pup. 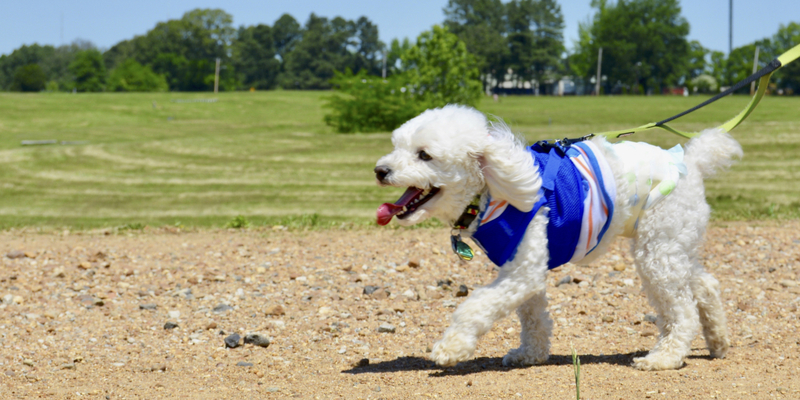 Shelby Farms Park is teaming up with Certified Professional Dog Trainers to provide a variety of classes, activities, and educational workshops to help create a happier, healthier life for you and your dog. Does your dog pull on leash? Haul you down the street to greet new friends, to get to that squirrel, or to smell the next bush? Or, do you want your new puppy or dog to start off right with excellent leash manners? If you would like to enjoy your walks, in harmony with your dog and with a loose leash between you, this is the class for you. In this three week class we will focus exclusively on the skills you and your dog need to well walk together. We will discuss the bewildering array of walking equipment now on the market, and how to make the right choices for you and your dog. Your dog will learn the foundation skills (s)he needs to walk with you without pulling: focus, response to leash pressure, walking positions, and how to move with you when you start, stop, and turn. You will learn the skills you need, too: leash handling and mechanics, effective communication with your dog while (s)he is leashed, and how to encourage the walking you like while eliminating the pulling you don't. Oh, and we will play lots of loose leash games--fun for dogs and handlers alike! This class is appropriate for: Both dogs that already pull, as well as puppies and dogs (4 months and older) that are just learning how to walk well on a leash. This class is not appropriate for dogs that are aggressive on leash. One of the most important and frequently used behaviors is come when called. It is also the one behavior we easily poison when we work with our dogs. If you want your dog to readily come to you when you call them, this 3-week course if for you. Want a dog that is polite, happy and cooperative, both inside and outside of your home? Want to have a dog that is a pleasure to walk, take on adventures, and to introduce to new people and situations? Manners 101 is the foundation course you need to help you and your dog reach this goal! We use gentle, effective, training methods based on the science of how dogs learn to help you build a cooperative and lasting bond with your dog. This class is designed as a basic manners course for dogs 4 months and older who have had no previous obedience training, or who need a refresher.